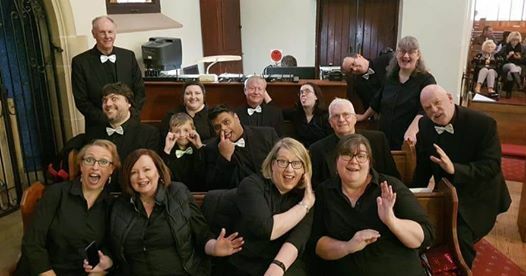 The Adelaide Allsorts Harmony Chorus Is a fun, vibrant mixed a Capella & Barbershop group, based at The Corner Uniting Church in Warradale, South Australia. We rehearse on Tuesday evening 6:30-9:30 under the direction of Andrew & Sarah Bradley. Ages range from Teenager to Pensioner. We have a lot of fun mixing it up as one of Australia’s few mixed barbershop choruses. We recently represented Australia in the Mixed Barbershop Choirus International Competition in Munich Germany placing 6th in the world!